Home Tech Super Smash Bros Ultimate ROM Download Available on Pirate Sites. Super Smash Bros. Ultimate is Nintendo’s last major title for the Nintendo Switch in 2018. It is easily the most highly anticipated game right after Legend of Zelda: Breath of the Wild, but it seems that the people with early copies of the game have ripped the game into a ROM format for others to download. With Super Smash Bros Ultimate ROM Download Available on Pirate Sites, you better brace yourselves for spoilers. 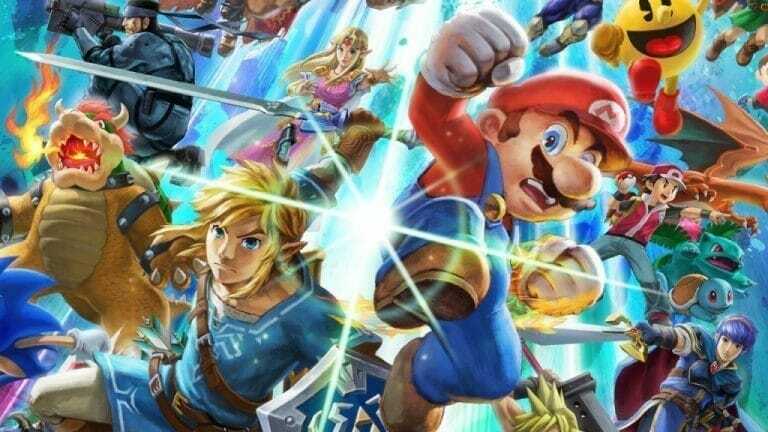 Super Smash Bros Ultimate ROM Download Available – 13GB and needs FW 5.1.0. While it is not yet known if you can play the game with Yuzu (we highly doubt you can) but it has been confirmed that the game does run on Nintendo Switch consoles. The game weighs in at a hefty 13.63GB which is massive, but considering all the content jampacked into this package, it is well worth the storage space. It has been confirmed that Nintendo Switch consoles running on 5.1.0 and up can run the game, so this is very easily achieved by a majority of homebrew Nintendo Switch consoles. This means that users who have homebrewed Nintendo Switch consoles can just side-load the game on their system and play it without waiting for the 2 weeks. This is disappointing for fans who have been eagerly waiting for years for this game and the biggest spoilers would be from the games campaign mode called “World of Light”. The ROM is currently available on many pirate sites where you can download it directly, by torrents or other means. Keep in mind that this obviously means you are locked out of the online multiplayer component of the game if you have your Nintendo Switch on homebrew and how 6.2.0 effectively removes the homebrew component of your Nintendo Switch. The Good News, sort of. There is a bright side to this though, As far as YouTube goes, you can count on Nintendo’s practice of YouTube content to be swift and vicious. Anyone who posts gameplay, streams or otherwise broadcasts the game on YouTube will have swift action taken against their again with the video being taken down immediately. Nintendo can also pursue the same route for Twitch as the stream site already has a strong policy against streaming games released early for their respective consoles, and with Nintendo at the ready, you can count any streams of the game going up to be down within minutes. Unfortunately, this will do little to curb the text spoilers which one can incur from Reddit, GameFAQ’s or other places where an individual can post the games spoilers by PM’ing users, making dummy accounts to post spoilers in the heading, and other tactics used by people. Super Smash Bros. Ultimate is set for a December 7 release on the Nintendo Switch and is easily going to be Nintendo’s biggest seller for the Holiday season. With such an impressive roster of characters, how can you not buy into the hype?